Anirudh completes Sivakarthikeyan's REMO... Why the title REMO? Home » Bhagyaraj Kannan | Keerthi | Remo | Siva Karthikeyan » Anirudh completes Sivakarthikeyan's REMO... Why the title REMO? 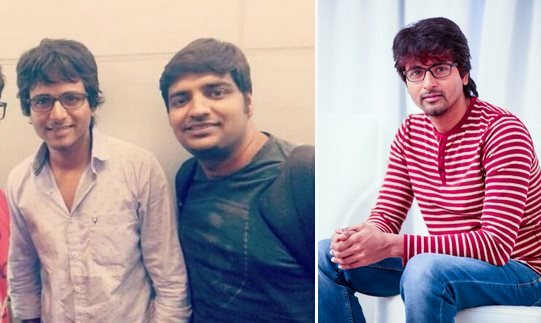 Actor Sivakarthikeyan hasn’t been showing up his new looks of upcoming film ‘REMO’, which is directed by debutant Baghyaraj Kannan and produced by RD Raja of 24am Studios. The film starring Keerthi Suresh in female lead reportedly stars Sivakarthikeyan in 4 different get ups and Sathish is the comedian. What’s turning the curiosities with strong ardour is the buzz that REMO happens to be the starting letter of names played by four characters. On the pars, makers have intentionally titled it as ‘REMO’ in accordance to the genre of this film, which is romantic entertainer. His makeup is being taken care by Sean Foot of ‘I’ fame. Anirudh has already delivered all the songs and the final mix would be happening by next month. It looks like there could be some official information pertaining to the film’s first look teaser shortly.